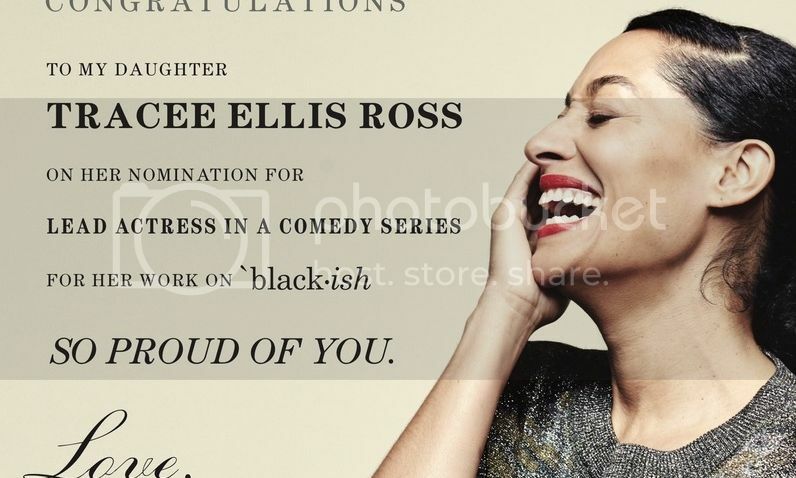 Tracee Ellis Ross received her first nomination for her portrayal of Rainbow Johnson in Black-ish this year. Fans of Tracee since Girlfriends are overjoyed to see her finally getting her due. But there's no way we could be as proud of her as her mother, Diana Ross. The elder Ross has had an illustrious career of her own, but she's always put being a devoted mother first. 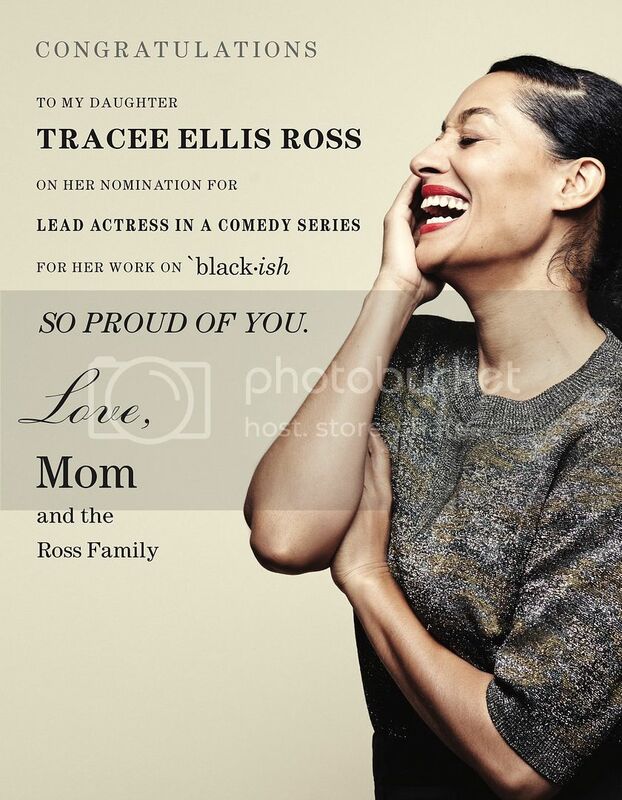 Tracee shared that her mom took out a full page ad in the entertainment industry trade magazine, The Hollywood Reporter. The commendation is well-deserved. 43-year-old Tracee is the first Black woman to be nominated in the Oustanding Actress in a Comedy category since Phylicia Rashad in 1986.